I'm planning to visit the UK in November, and for reasons of logistics it may be easier to leave from a different airport than I arrive on. 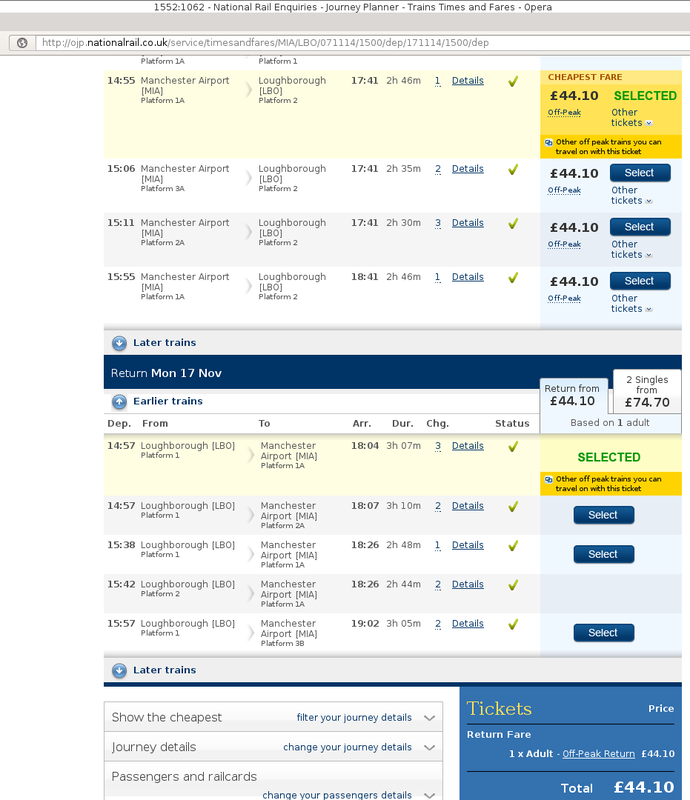 They should be ‘off-peak’ tickets, and the prices are the same on nationalrail.co.uk and thetrainline.com ... I actually continued the booking process up to the point where I had to pay to make sure this price was correct (and not £44.10 × 2). No, you're not missing things this is standard ticketing policy in the UK. Single tickets frequently cost almost as much as return tickets. As this journey involves changing trains at Sheffield, two different train companies are used. This often means that the cheaper ticket types are not available. 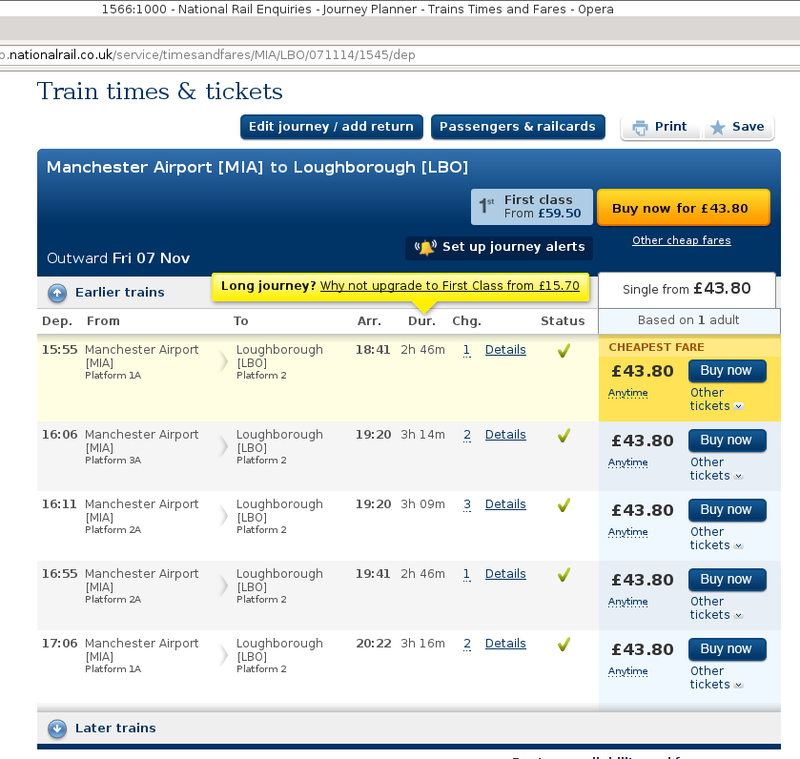 You can circumvent this by buying separate tickets for each leg of the journey. For example, using the East Midlands Trains website, for 11th November I found Loughborough to Sheffield Advance single for £13 and Sheffield to Manchester Airport Advance single for £8. The disadvantage of this practice is that, if you miss a connection, you may have to buy a new ticket for the second part of your journey. Not the answer you're looking for? Browse other questions tagged trains uk or ask your own question.